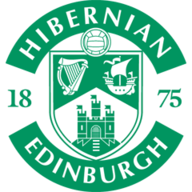 Hibernian took the honours against Edinburgh rivals Hearts as they won 1-0 in their Scottish Cup replay. Hibernian beat rivals Hearts 1-0 to reach the Scottish Cup quarter-finals, as two men were sent off in a fierce replay. Jason Cummings scored the only goal (4) to give the Championship side a tie against holders Inverness, but Hibs' top scorer was one of two players sent off towards the end of a wild second half at Easter Road on Tuesday night. Blazej Augustyn was the other, adding to the misery of a Hearts side that led 2-0 with 10 minutes to play in the first game at Tynecastle. The visitors had other cause for regret, not least two goals ruled out for offside and a glaring Juanma miss, although Hibs gave as good as they got in a derby that tested the officials. 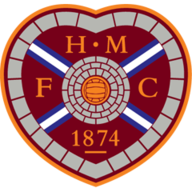 Cummings started the Hibs comeback at Tynecastle and was on target again from David Gray's cross early in the piece, his celebrations earning a booking which would alter have consequences. Abiola Dauda and Juanma had the ball in the Hibs net either side of half-time, both from offside positions, while the Spaniard missed his kick from inside the six-yard box. Augustyn and Cummings earned second bookings for dissent within the space of three minutes, and Hibs survived late pressure to get the job done.